Worship of God as the Universal Mother full of love and compassion is a dominant theme in the teachings of the Puranas and the Vedas. 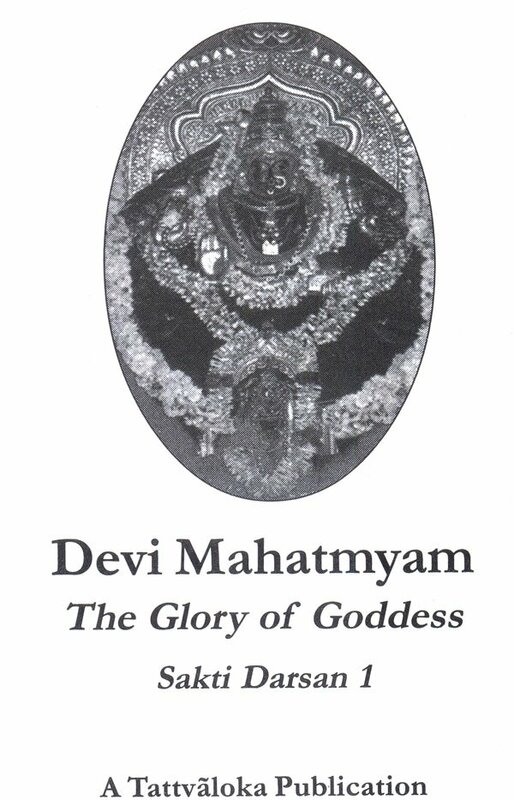 The Devi in the Puranas figures with exceptional brilliance; for they deal with her Mahatmyam-prowess and exploits. 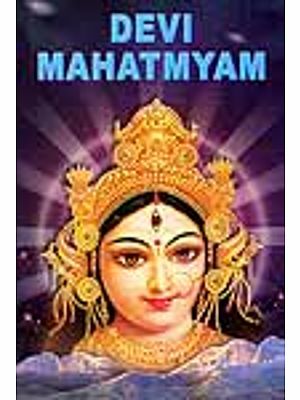 It is true particularly in Durga Saptasati or Devi Mahatmyam in the Markandeya Purana, and also in the Devi Bhagavatam by Sri Veda Vyasa. 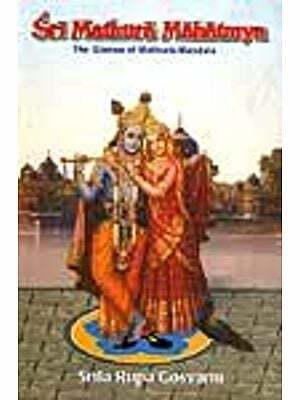 This book deals almost wholly with these aspects of Devi in these two Puranas. 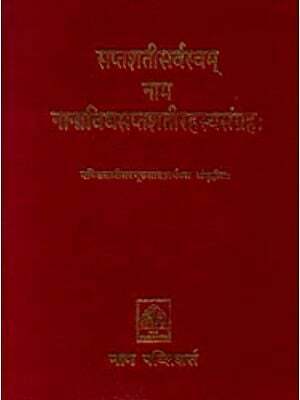 Durga Saptasati is a practical manual of sadhana and occupies an important place in Tantra Sastra. 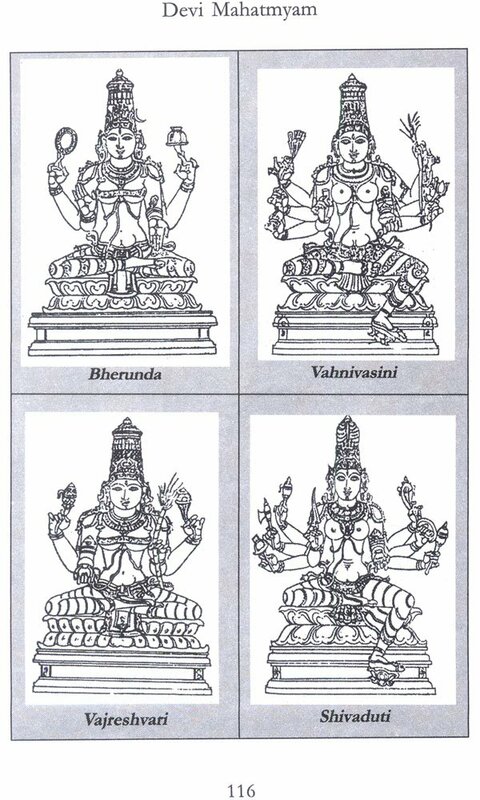 It must be remembered that Maha Kali, Maha Lakshmi and Maha Sarasvati with their characteristic features in this text are different from the ordinarily prevalent views of the three deities. 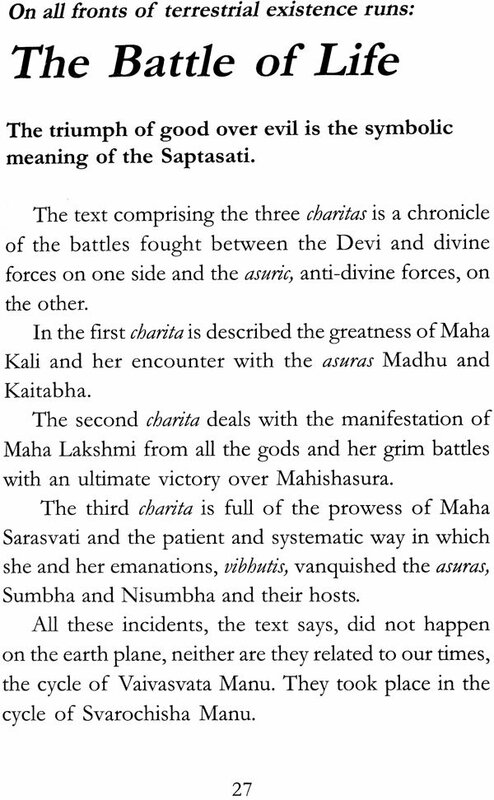 The main deity here is Chandika, as the cult of Devi Mahatmyam is mostly different from Sri Vidya worship. There are also variations in Devi worship in the different parts of Indian depending on the aspect invoked, benign or fierce. In Bengal, for example, the terrific form of Maha Kali is invoked, while in Gujarat and Kashmir, Lalita, and form of beauty, stands in the forefront. In south India, however, the aspirants have found no contradictions. 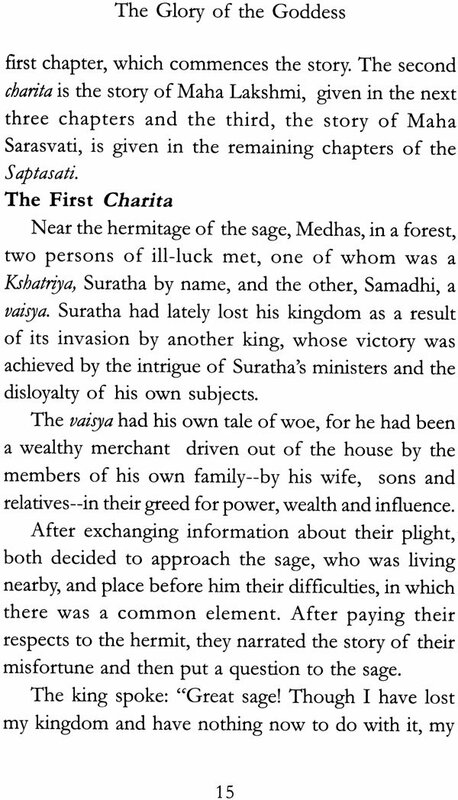 Both Lalita Sahasra Nama and Devi Mahatmyam have been taken up as texts for parayana, especially during Navaratri. 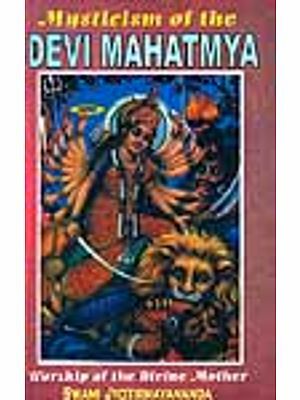 "Devi Mahatmyam is a text for recitation and not a text for meditation." 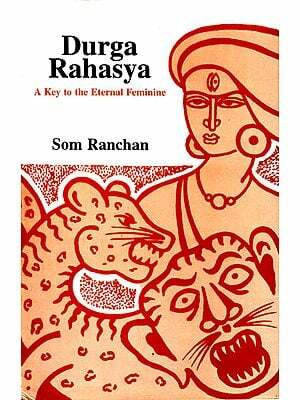 This book captures this mood and gives the summary meaning of the Devi Mahatmyam which runs into some 700 verses. 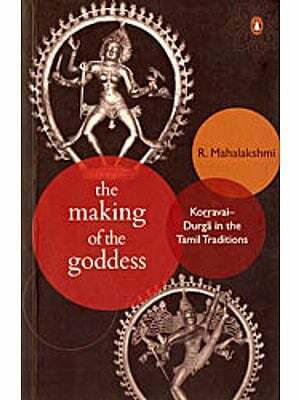 Unfolding Devi's greatness, the narration signifies basically the triumph of good over evil in the battle of life. 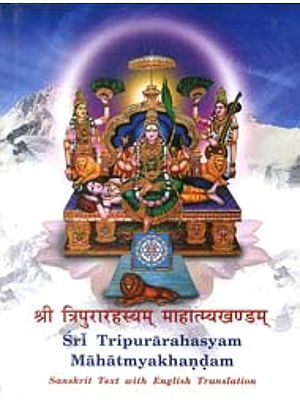 The Devi in the Vedas is seen through hymns in her praise in the Sakha, Aranyaka and Upanishadic portions. 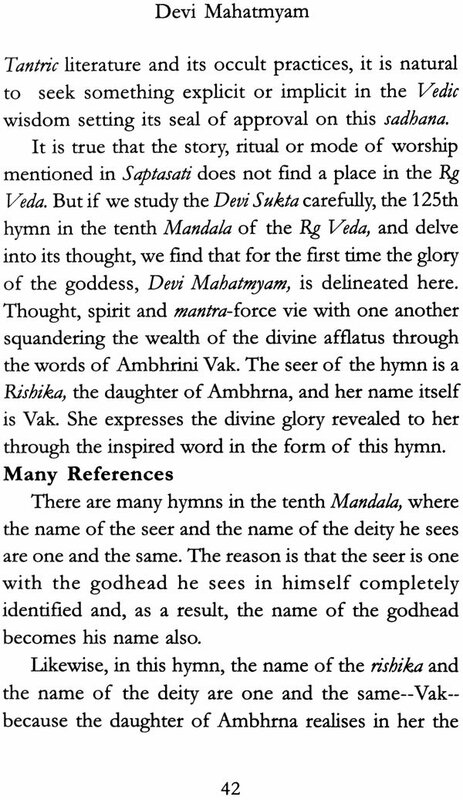 The Rg Veda contains the famous Devi Sukta, proclaimed by the daughter of Rishi Ambhrina. 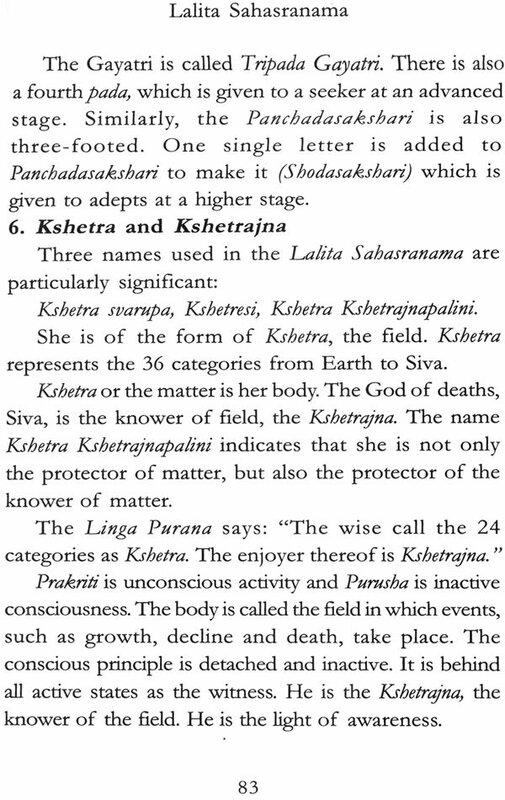 An article on Devi Bhagavatam gives a bird's eye view of the contents of this extensive Purana. Relating to Narayani Stuti is a special article explaining the seven forms of Sakti, called matrukas or mothers, with the help of sketches for illustration. 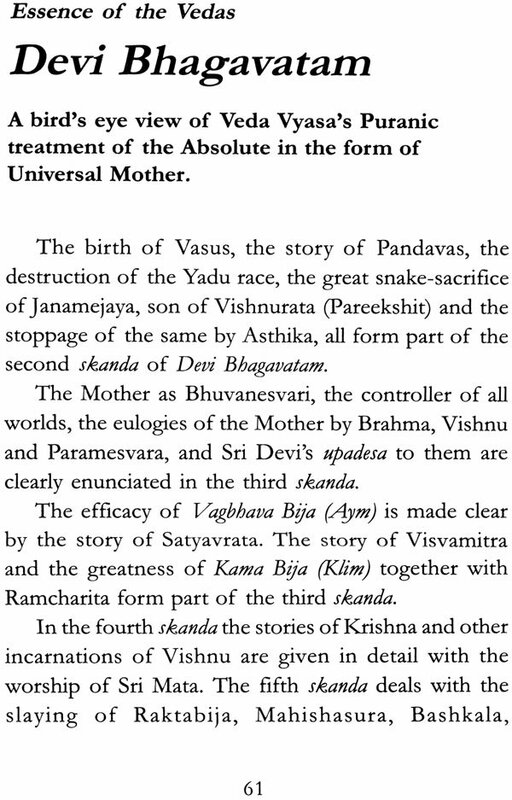 The primal energy or the functional aspect of the Supreme Power is brought out in an article entitled Mother Bhuvanesvari.